Red dessert gooseberry. Very heavy cropping and disease resistant. A superb flavoured gooseberry to cook with that is equally delicious straight from the bush. Height and spread to around 90cm. Bes..
Dessert pear. White flowers are produced in spring. Followed by good crops of yellowy green skinned, sweet flavoured, juicy pears.Height and spread to around 5m x 4m. Root stock = Quince a. &nb.. 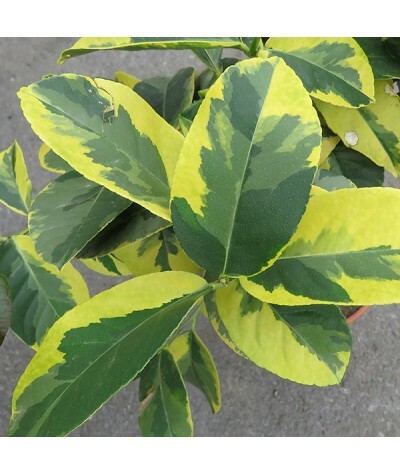 This is a very useful ornamental, evergreen ground cover plant for a any position. 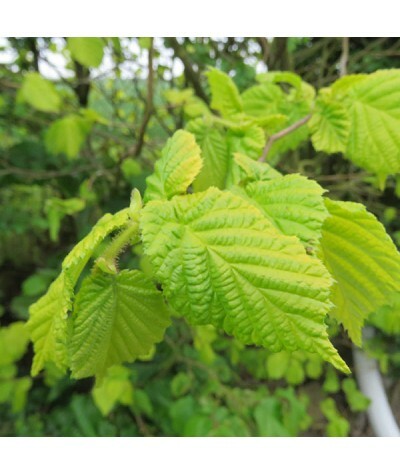 Ornamental creeping bramble grows to 30cm tall by 2.5m wide has bold, deep green leaves with colourful autumn tint..
Large lobed leaves on this hardy fig tree. Flowers develop inside the fruits. Restrict the roots to encourage fruiting. Any fertile soil in sun or part shade. Water well during the summer. .. Mid season dessert apple. Rounded growth habit producing crisp, juicy, sweet apples with a white flesh. 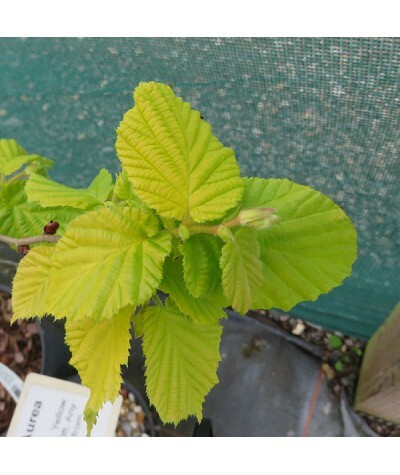 This is a favourite for children with sweet flesh and red skin that shines like a billiard ba..
Upright shrub with yellowy green flowers, followed by black currants in summer. Heavy cropping with good flavoured currants. .. Blood Orange. Beautifully scented blossum followed by juicy, succulent red fleshed oranges. Feed with citrus summer and winter feed. Keep in good light and above freezing. 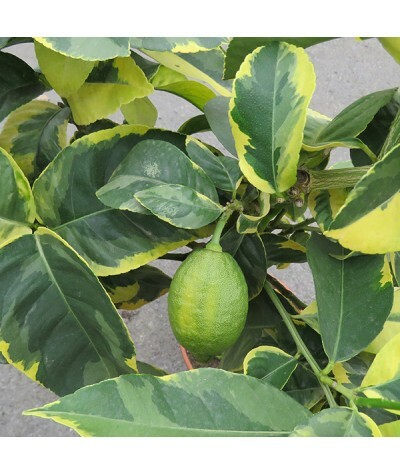 ..
Small tree with glossy glaucous green and cream variegated leaves all year round and small, scented white flowers followed by juicy and reliable eating lemons. 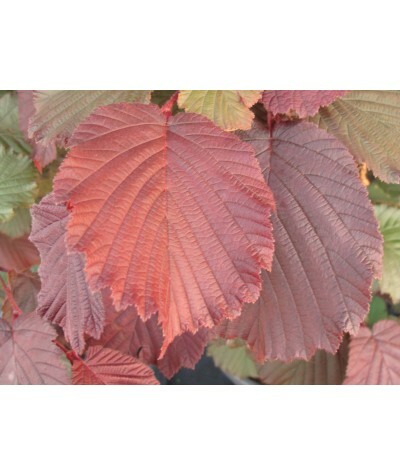 Keep frost free and in good light and..
GOLDEN LEAVED HAZEL. Yellow catkins in Feb. Height to 10ft. Any moist soil in sun. Protect from wind. 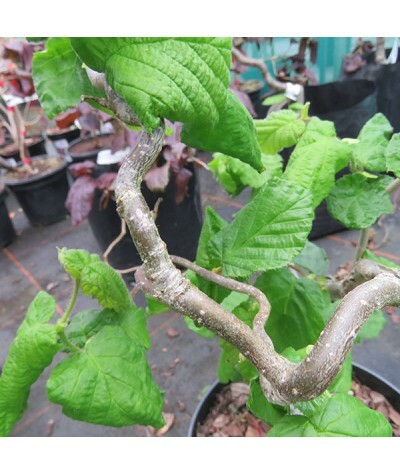 ..
CORKSCREW HAZEL. Yellow catkins in Feb. Height to 3-5m. Twisted branches. Excellent for flower arranging. Any soil. Sun/part shade. 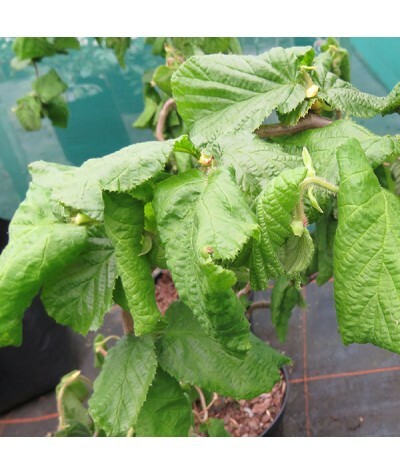 ..
Cosford cob nuts are particularly sweet flavored nuts and a great choice for a mixed nut walk as they are one of the best pollinating varieties for other hazelnut varieties. 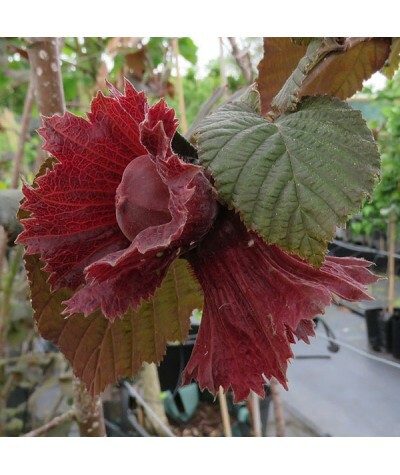 Height and spread to ar..
A beautiful form of twisted hazel with sumptuous red crinkly leaves, that has something to offer all year round. Any soil in sun or light shade. 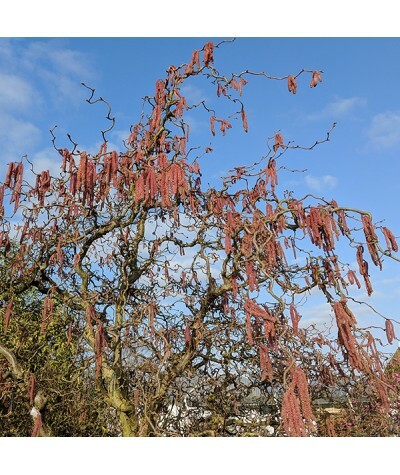 Pendulous red tinged catkins in spring. Height and s.. The excellent flavour of this variety is consistent. 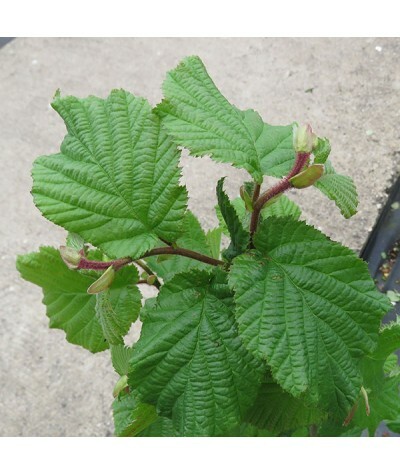 It is a large growing hazel with good regular crops of large nuts. 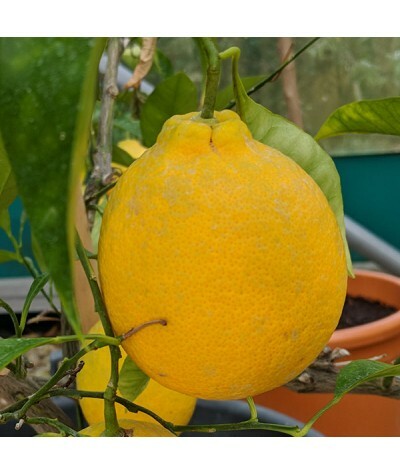 Pollinated by Fertile de Coutard and other local varieties. 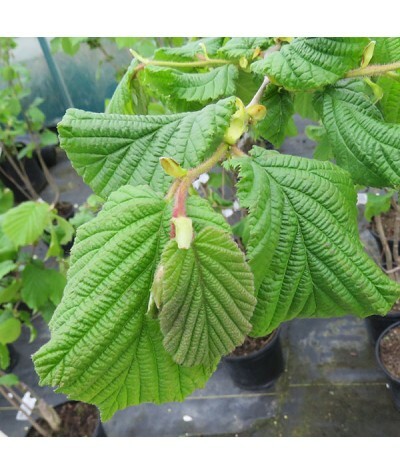 Any soil or posit..
Purple hazel. 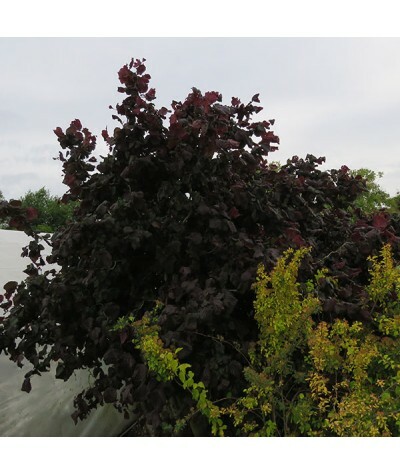 Rich purple leaves throughout summer. Height and spread to around 3-5m x 2m. Nuts produced in late summer. Any moist soil in sun or part shade. ..